Back on the Radar Radio airwaves with a bailé funk & future beats special, spinning cuts off the new Sango & August Greene projects as well as a chat and live guest mix from Stuttgart’s finest TRVE HILL. Best known for the now timeless ‘Que Se Sepa’, those familiar with the beatmakers productions will know his sound know’s few limits, with everything from R&B, to Grime and general Latin flavours all incorporated which keeps an air of unpredictability to his output. Trve joins us in the studio for a chat on 26 minutes as we discuss influences, the Hip-Hop scene in Stuttgart, where it all began and what’s to come. 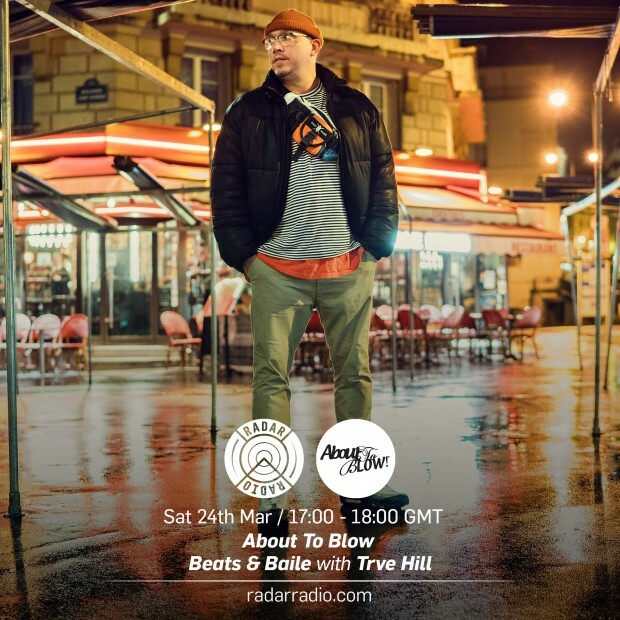 The next About To Blow show will be on Radar Radio this Saturday 7th April at 17:00 GMT. WE DO NOT OWN OR CLAIM ANY RIGHTS TO THESE TRACKS.